Pure, courageous, loyal and true, on the merciless terrain of the Arabian Desert, he was bred for strength, bred to last. Loyal in battle, he was a prized warhorse. Blessed with affection of women and children in the black tents of Bedouin families, he was ever kind and loving. King-maker of the East, the Arabian horse altered human history and reshaped the face of the world. Harnessing horse to chariot, the Pharaohs of the Nile Valley dazzled a world far beyond their own borders. Majestic and noble, on seal rings and stone pillars; in tombs and temples, from Egyptian hieroglyphics to sacred scriptures, history bears witness to his majesty and strength. “Thou shallst fly without wings and conquer without swords”, quotes the noble Qur’an. The Egyptian Arabian horse is a legendary animal, in all its beauty, so lovely and wonderful that he fascinates young and old alike. Timeless and enduring, in the early 19th century, the ruling families of Egypt gathered the finest horses from the deserts of Arabia and brought them to the land of the Pyramids. This extraordinary collection, unrivalled since the time of King Solomon, became the foundation for the modern-day Egyptian Arabian. From East to West, between 1895 and the mid-1980s, some of the finest Arabians to be found along the Nile were exported to the United States. Those individuals and their desert ancestors form the nucleus of the Egyptian Arabian bloodlines in present-day North America. Today, horses from these rare and treasured bloodlines are carefully preserved to retain their unique qualities and a classic refinement valued worldwide. 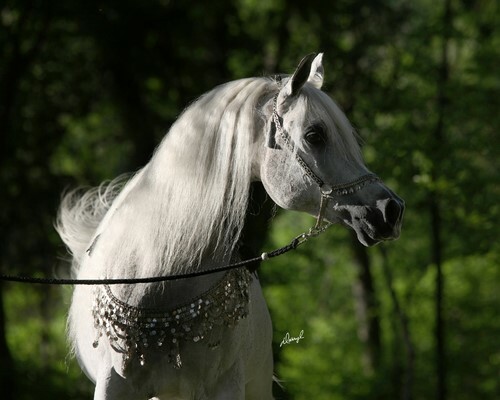 The Straight Egyptian horse moves the needle in purity, elegance, class and enduring value. All should learn more about the Egyptian Arabian horse and its desert legacy. 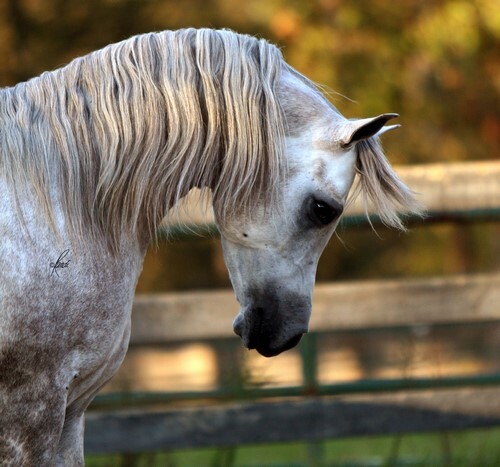 This is the Arabian horse. But is it, you might ask, an Egyptian Arabian? Abbas Pasha was assassinated in 1854 and his fabled stud was disbanded. 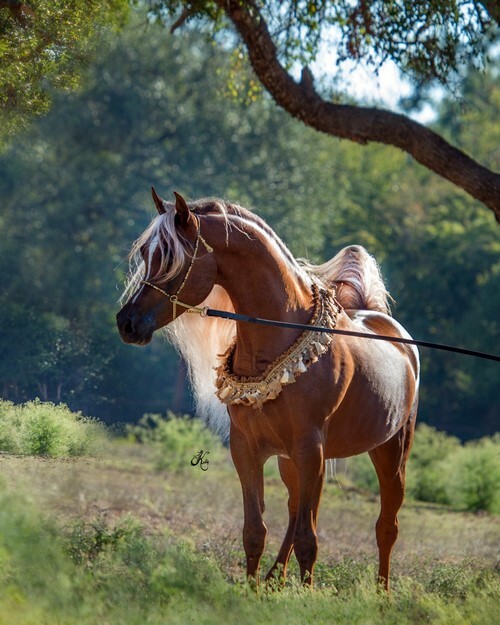 Some horses were added to European collections; others remained in Egypt with Ali Pasha Sherif, a relative with a passion for the finest of desert-bred horses. With the dispersal of his magnificent stud, the horses moved into many hands, among them those of Lady Anne Blunt, whose journeys in search of desert horses are legendary. 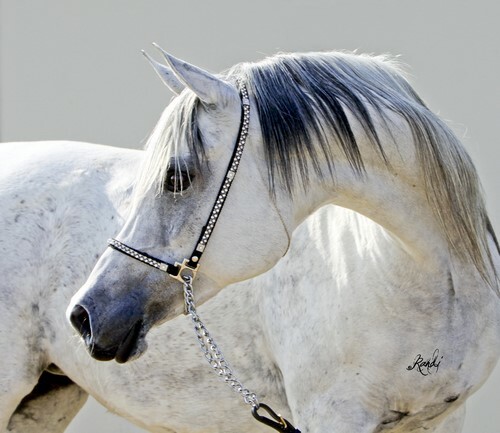 In the late 19th and early 20th centuries, princes of the Egyptian royal family and other notables of the time collected and bred pure Arabian horses, some from the celebrated ranks of the Abbas Pasha tradition; others from sheikhs in Arabia. The Royal Agricultural Society (RAS) in Egypt was formed in 1908 to assure the preservation of what was surely an historic national treasure. In 1952, following the overthrow of King Farouk, a few notable horses of the former Inshass Stud, the Royal Stables of King Fuad and King Farouk, were brought into the RAS, newly named the Egyptian Agricultural Organization (EAO). At the time, however, many felt that Arabian horses were the sign and symbol of excessive wealth and should be dispersed. The then-Minister of Agriculture Sayed Marei was of a different mind. “It would be as if we were erasing the Great Pyramids of Egypt,” he insisted. Public sentiment shifted. 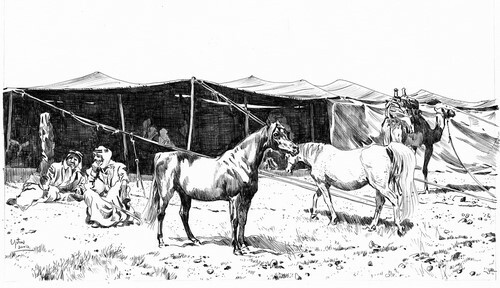 The EAO remained in place – and with it, the pure, authentic horse of the desert. A straight Egyptian is, simply put, the totally modern illustration of an enduring desert tradition, working its magic through change and challenge. 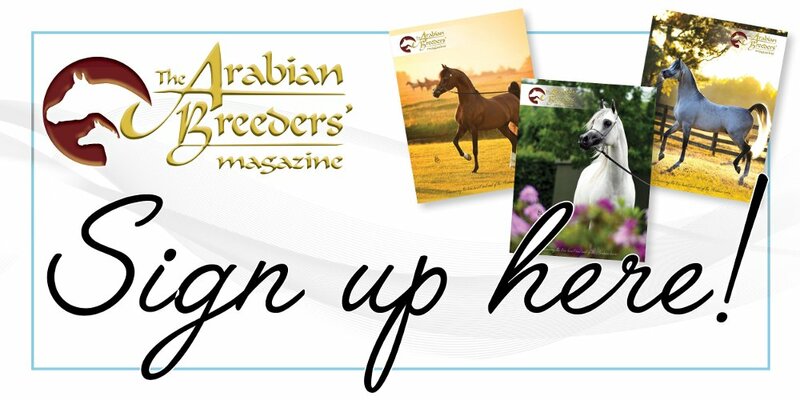 other than those excluded above, a horse conceived and born in a private stud program in Egypt and imported directly to the United States and registered by the Arabian Horse Registry of America prior to the extension of the EAO’s supervision to private Egyptian stud programs as reflected in Volume 4 of the EAO’s Stud Book. To be recognized as Egyptian-sired, as defined by The Pyramid Society, a horse must be a purebred Arabian who is produced by breeding a straight Egyptian stallion to a pure-bred Arabian mare who is not straight Egyptian. Prior to 2005, The Pyramid Society also recognised a category of horses as Egyptian-bred or Egyptian-related. As defined by The Pyramid Society, an Egyptian-bred or Egyptian-related horse was one who was produced either by breeding a straight Egyptian stallion to a pure-bred Arabian mare who was not straight Egyptian OR one whose grandsires were both straight Egyptian, and whose dam was purebred Arabian who was not straight Egyptian. All horses born prior to 2005 and meeting the definition of Egyptian-bred/related are eligible for certain Society-managed programmes through the remainder of their lifetimes. However, beginning with foals born in 2005, this category has not been recognised by The Pyramid Society. Horses fitting the description of Egyptian-sired are recognised as such, regardless of their birth date. Only horses of certifiable ancestry are eligible for classification as straight Egyptian or Egyptian-sired or Egyptian-bred/Egyptian-related as defined by The Pyramid Society, and for participation in Society-managed programmes.